and much more through crypto assets. 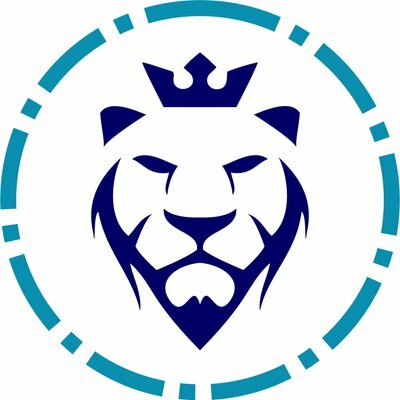 Friends of our coins will be used on the Kingcoin platform. Stakes you will get from the campaign will allow you to get Kingcoin coins at the end of the campaign. You will receive 50.000 of KINGCOIN(KGN) coins, based on your number of stakes. This campaign will last until the end of KINGCOIN BOUNTY (on 31th May, or before). First stakes distribution will occur on 7th May. We reserve the right to remove you from wany campaign at any time if we think you are not honest, or spam the forum. If you want to update/change your payment address, you must post your request in this bounty campaign thread. If you don't reach 10 posts before a Monday, you will not receive any stake for the current week. Posts with less than 20 characters will not be counted as valid posts. If you decide to leave us for another campaign, please write it down in this thread so we could check if you deserve to reserve your current week stakes (= if you posted 10 constructive posts). If you don't, we will not distribute your current week stakes. Post a message in this thread with the following information (don't forget the #JOIN). This campaign is limited to 50 articles. It must have a link to our website; Kingcoin platform and Bitcointalk thread. Send me a PM with the following informations. Your PM title will have to be "Kingcoin platform Articles Campaign Application". This campaign is limited to 50 participants. Only twitter accounts with more than 200 followers will be allowed. If you don't see your language in my perpetual translators list, you can fill up the Google Form link and reserve a slot. We are only looking for translations in the following languages: Japanese, Korean, Chinese, Spanish, German, Russian, French, Italian, Vietnamese, Filipino, Indonesian, Dutch. Once you have reserved an ANN thread translation, this reservation is valid for 3 days. Once you have reserved the pager pack translation, this reservation is valid for 5 days. Once you have reserved a website translation, this reservation is valid for 4 days. Earn some coins for joining our Discord channel! 1 point per participant that you invite. This campaign is limited to 1,000 participants. Share our channel to 5 Crypto channel discord.